Savvy Spending: Amazon: Baby Boys and Girls three piece clothing set for as low as $3.43! Amazon: Baby Boys and Girls three piece clothing set for as low as $3.43! Wow! Amazon has an awesome deal on newborn sets! 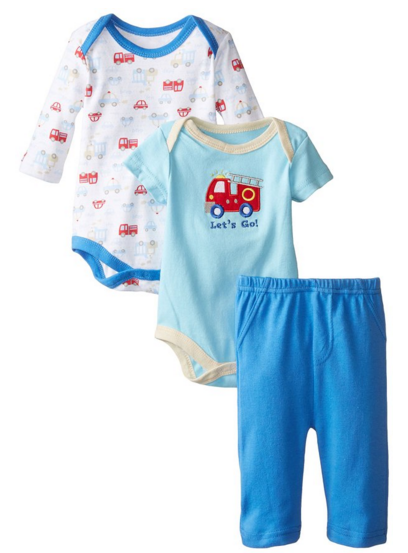 You can get this BON BEBE Baby-Boys Newborn Let's Go Double Bodysuit Set with Pants for only $3.43 or this BON BEBE Baby-Girls Newborn Ladybug Double Bodysuit Set with Leggings for only $3.76 (select sizes). These were regularly $22! Shipping is free with Prime or on a $35 order! Stock up now if you're invited to any baby showers in the near future!